Can Thresholds Fix Height Difference Between Flooring? Connecting rooms with different flooring heights can be difficult to navigate. The right materials are required to avoid gaps and breakage. Metal strips aren’t very attractive, and customizing wood to handle the height difference requires special tools and skills. However, there is an easy and attractive solution available for you. Whether you’re finishing off the kitchen in ceramic and want wood in the living room or will be using natural stones throughout the space, you can use marble, and travertine thresholds that are specially designed to offset height differences and smooth out this transition. Unlike other transition strips, natural stone styles are made to be installed directly on the wood or concrete subfloor. They’re available in different widths, including 2”, 4”, 5”, and 6” so that they’ll fit neatly in most doorways. You’ll have the stability you require along with a clean material change from one room to the next. If you’re working with an open floor plan, then you can choose the width that looks the best and install long lengths end-to-end to fill the space. The 2-inch tiles are only 3/8” thick, and the wider tiles are all 5/8” thick. Width availability may vary depending on the type of threshold you choose, but we’re pleased to take custom orders so that you can get the exact color and style that you require. When floors are close to equal heights, the standard double bevel style will smooth out any minor variances. These long, narrow tiles have a ¼-inch bevel on the top edge of both sides. If you have flooring that’s just shy of 5/8-inch thick on one side, the beveled edge will ease the transition and make it virtually invisible. If the floors are equal height, then you’ll have a completely smooth move from one floor to the other. 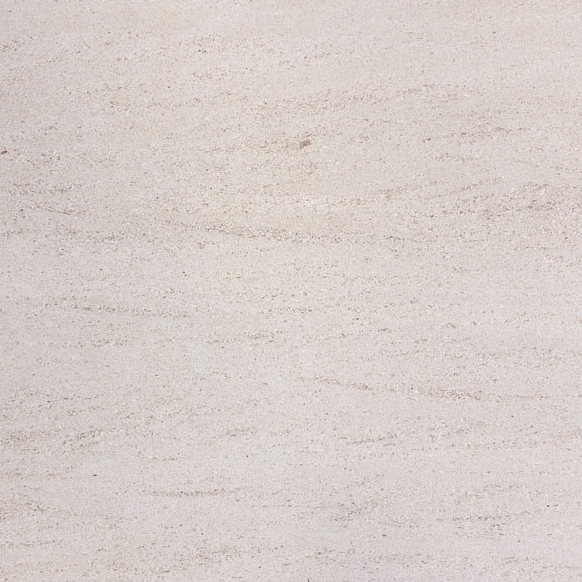 There’s no additional weight added to your marble in the bathroom or the wood in your hallway, so you won’t have to worry about the flooring materials being cracked or chipped from the foot traffic. The Hollywood bevel has a steeper and wider angle than double beveled styles. The beveling starts on one side and comes about halfway across the tile, so this style is only available in larger widths. It’s ideal for large open areas where you’re making the transition from a carpeted living room the hardwood or marble in your dining room. Choose between 4”-6”widths so that you can customize the perfect look. The high square side will be 5/8-inch tall, and the opposite edge will drop down to 3/8-inch. This makes it ideal for handling the transition from Berber carpeting or thin ceramic to a thicker hardwood or natural stone floor. The Hollywood bevel is available in four different colors. 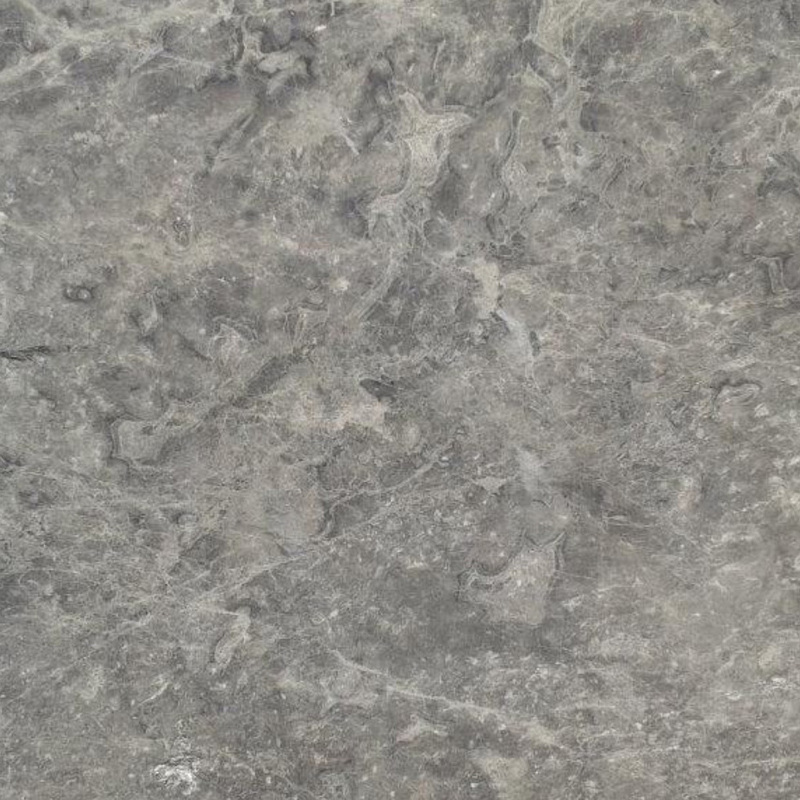 Choose from black granite, Crema Sahara Marfil, Pure White Thazoz, and Nuevo White Carrara. The smooth angle also makes them a great choice for homes where wheelchairs or walkers will need to move across the threshold. Available in Pure White Thazoz, Crema Sahara Marfil, Absolute Black Granite, and Nuevo White Carrara, the double beveled threshold is typically offered in 4” and 6” widths. Some colors are only made in the narrower models, but we are happy to fill custom orders. 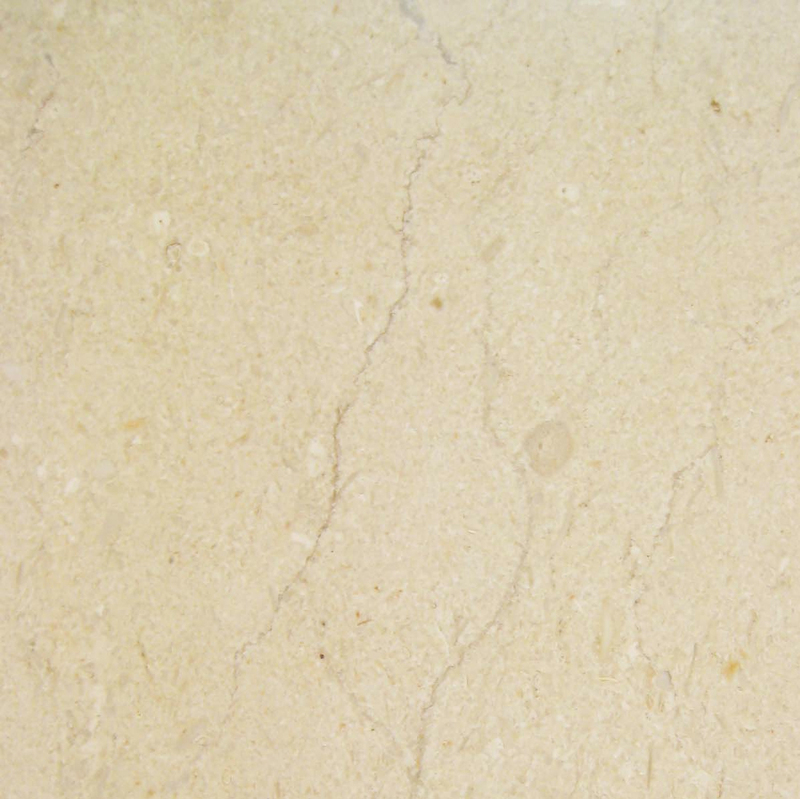 Other shades, like Crema Sahara Marfil, are made in 4”, 4.5”, 5”, and 6” widths. These beveled tiles are 5/8” tall at the center, and they drop down to 3/8” on each side. These are the right choice for showers, damp areas, and exterior thresholds where you want to have a raised center area to keep air and water out of the adjoining room. The angled sides ensure that people can easily step into the room without tripping on a square lip. Doors will also function smoothly thanks to the smooth angles on either side of the stone. 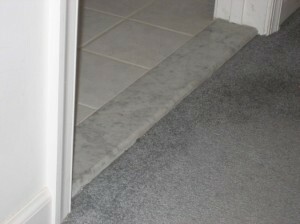 Thresholds are available in a range of beautiful neutral colors that will suit all types of décor. 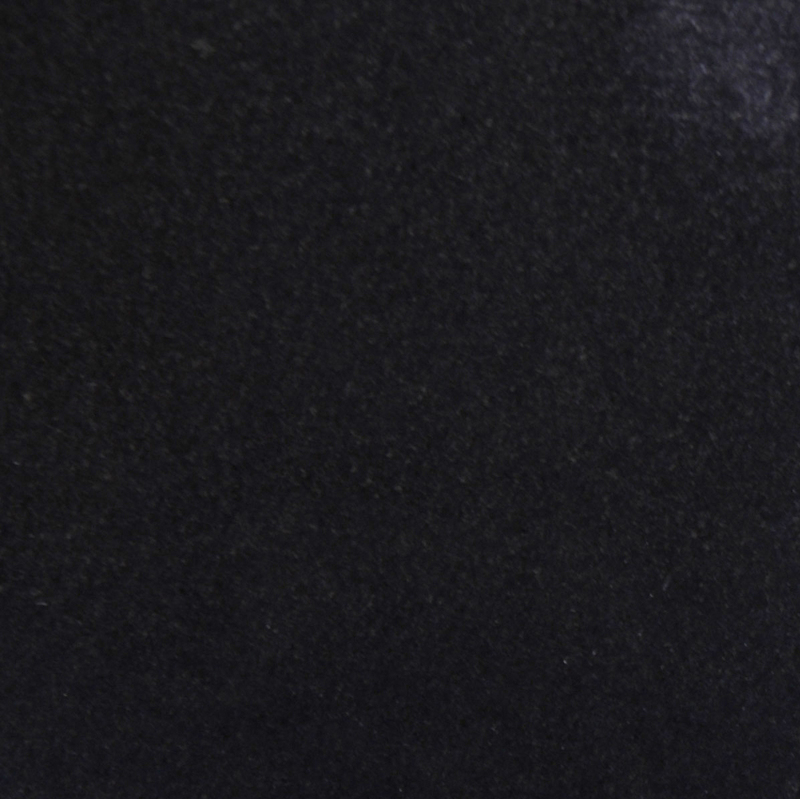 You can go with stunning black granite for those modern finishes, or opt for Pure White Thazoz with your bright decorating schemes. 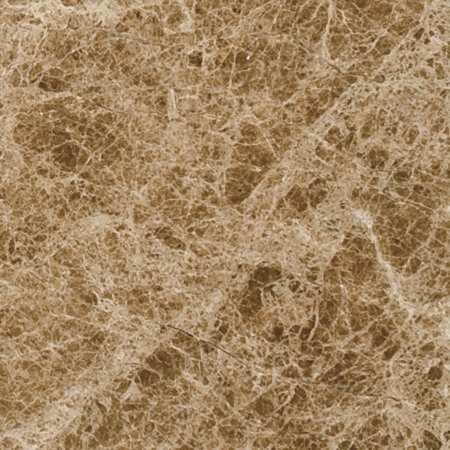 Stonexchange also carries Crema Sahara Marfil thresholds in a light tan color that will suit most natural woods and all types of ceramics. 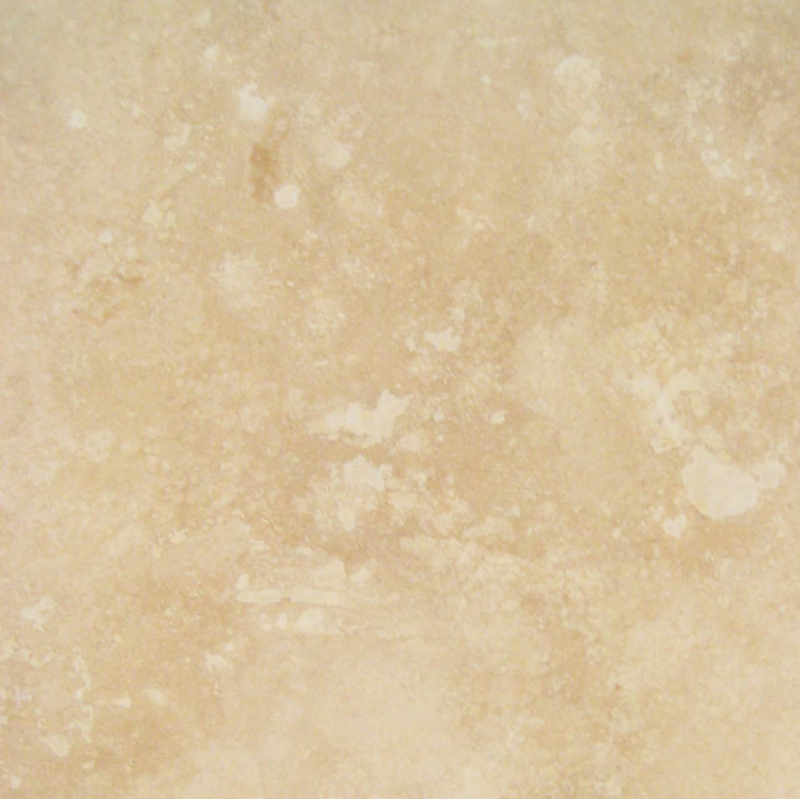 Travertine is also a lovely choice when you’re working with earth tones and want a slightly darker shade of tan. 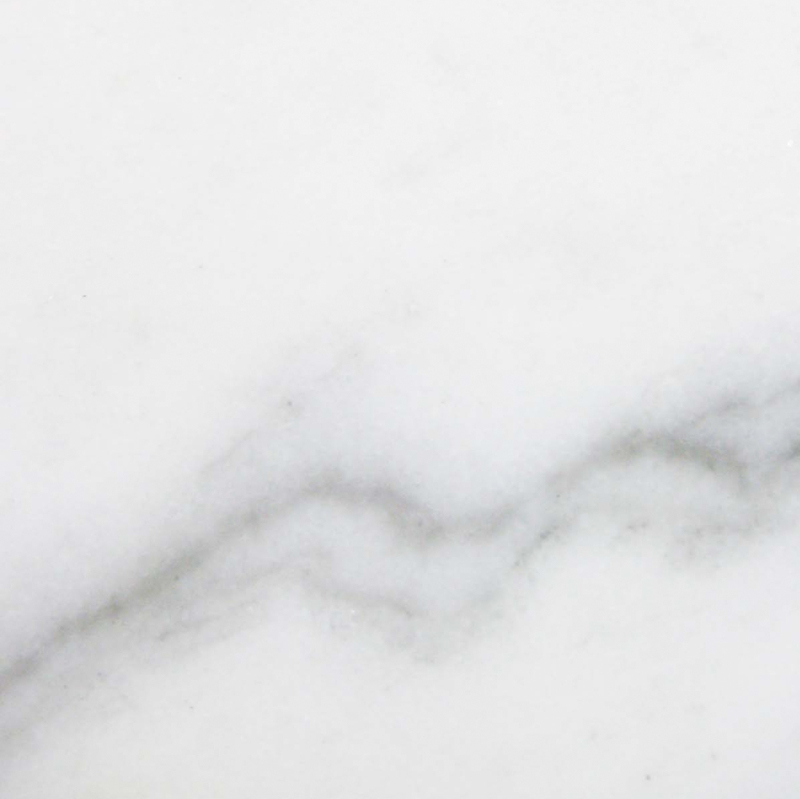 Finally, White Carrara is a stunning choice when you’re working with high-end marble and want something that will seamlessly make the switch from one flooring style to another. Whether you’re focusing on custom homes or commercial centers, you’ll want to have a good selection of thresholds on hand. When you order the different styles in a range of colors, then you’ll have what you need to meet all of your customers’ needs. We can provide you with different lengths in order to accommodate all types of projects. 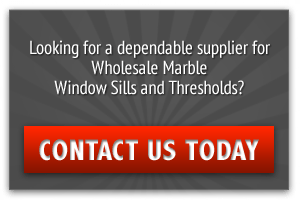 We offer wholesale pricing that will keep your costs down and help you improve profit margins. When you’re dealing with different flooring heights, there are a few different options to consider. The thresholds can be used to help minimize the difference and ensure a safe transition. Blunt edges are eliminated to minimize tripping hazards, and there are several colors to choose from for your projects. Stonexchange offers bulk orders, and we encourage people to stock up ahead of time so that the thresholds will always be ready to go. If you are working on a larger project, then you can have the thresholds shipped directly to your work site. Visit us online to learn more about our services and see the different styles. If you’re ready to place an order or need more advice, then please give us a call at 305-731-2400.